Cook beef until brown and crumbly In a large, non-stick skillet over medium-high heat. Drain fat and discard. Add onion and garlic; cook for 5 minutes. Add cabbage, celery, green pepper, tomatoes with juice, tomato sauce, kidney beans, chili powder, oregano, and hot pepper sauce. Reduce heat to medium-low, cover and simmer, stirring occasionally, for 45 minutes or until vegetables are tender. 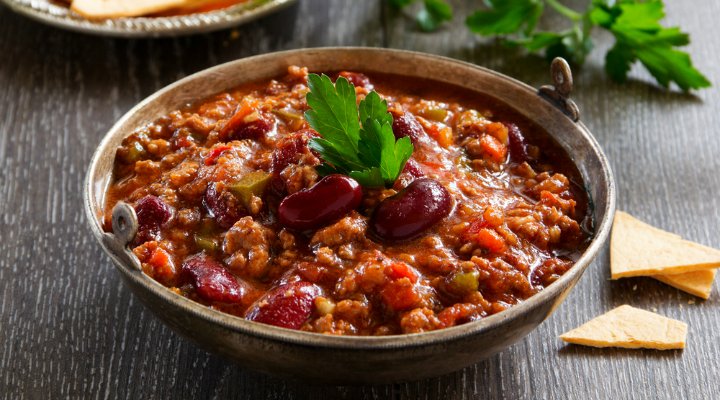 Notes: To freeze extra chili, portion it into single-serving plastic containers.